When searching for a new job, the hardest/scariest part is usually the part where you attend an interview. This is where everything on your resume comes out and now it’s all up to what you say and your confidence that will determine whether or not you get the job that you applied for. No matter how great your resume is, if you don’t have a good interview then it would be hard to actually get the position. When my friend was job searching a few years ago, I remember her telling me that she walked into an important interview, only to find seven (yes, 7!) people waiting to give her an interview. I have heard and seen of two or three interviewers sitting in on an interview, but seven? Most people would get very nervous if something like that were to happen. I know for a fact that she did, and it affected the way that she usually interviewed because she was so intimidated. Don’t let your fear get you. If fear takes over, then you may not do so well in your interview. You should be prepared for no matter how many people attend the interview. This is why I also recommend that you bring more than one resume to an interview as well. I know of people who in the middle of an interview were asked to log into their Facebook account. The interviewer may ask for your username and password so that they can search through your profile themselves. You should also be prepared for them to search your profile by not logging in as well. It’s easy to do a simple search for someone to see if they have any social media accounts. Be careful with what you say in any social media statuses. You should try to keep it as professional as possible. Watch what your friends tag you in. If your friend tags you in a picture of you being insanely drunk and/or doing something not smart, then you will want this picture off your social media account most likely. Ask the person to take it down completely, or at the least, remove the tag to your account. Change your social media name. I have heard of users using their first and middle name, instead of their last name. I have heard of people using a completely different last name for themselves as well. Many teachers do this so that students can not find them online. Another surprising thing that I have heard about during an interview is when an interviewer pretends that they are your best friend. Sometimes they will do this to see how open you will get and whether you will stop acting professional. Definitely act professional at all times! 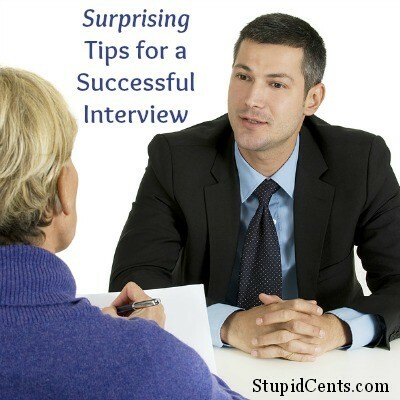 What tips do you have for a successful interview? Great point about social media accounts, but also figure that most companies already looked you up online before you even showed up. So clean up your accounts, if you need to, before you even send the resume.